Why family night is important? 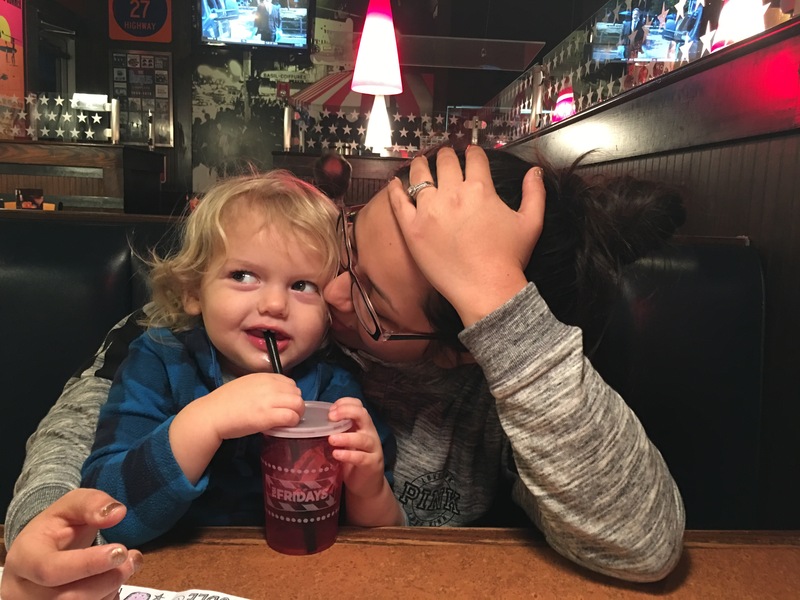 Since our newly wed days Austin and I have had family night once a week. Family time was so foreign to me and after our pre-marriage counselors recommended it I was intrigued. Leaving the single/dating lifestyle it was challenging to be consistent. We didn’t have kids and when our friends made plans that happened to fall on our family night we would choose to join our friends. Figuring out a family night plan required lots of trial and error. We have a no phone rule, no calls, no texts, no phones-okay except for picture taking. Early on we ran into schedule conflicts bible studies, friends birthday dinners, etc. If we have another free night during the week we can switch our family night to we do. BUT if we have a busy week and don’t have a free night our family night takes precedence. Unsaid truth your family is the most important you’re the only one that’s going to make it a daily priority. We embrace this welcome it and respect it. We tell the boys often “I love being a Hahn, being a Hahn is so fun, isn’t it good to be a Hahn.” They cheerfully agree. Austin and I are a team in building a godly, joyful, loving home for ourselves and our boys. We are responsible for raising them to obey us and one day obey God. We are responsible for training them to be loving, responsible, respectful human beings. One day our boys are going to be men and hopefully have family’s of their own, it is our job to prepare them. I also find when I feel disconnected with one of my boys this has become a great time to reconnect. I felt that way last week with my youngest. We dined at a local chain restaurant using one of our Christmas gift cards and he sat in my lap the entire night. I have felt closer to him since and to think it only took him sitting on my lap and having my full attention. 1). Devotionals, we don’t do this every family night. We also use this time to talk about any issues we see them having such as not sharing, hitting, whining, etc. 4). Play with their favorite toys. 5). Go to the library. 10). Kick a soccer ball around at a local park. 12). Go to the pool. 13). Go to an outdoor movie night. Multiple studies reveal that kids develop behavioral and emotional problems when there is a lack of quality time with the parents. That’s enough to motivate me. Sure it’s easy to joke about how our parenting is going to one day lead our kids into therapy, but no one truly wants that. My kids may end up in therapy one day but I’m going to try hard to keep that from happening. Our boys crave our attention and when we give it to them they feel special and find that they are respected and feel self-worth. Also on family nights I don’t cook! Yas! Wasn’t my idea that was all the hubby. Previous Article My husband, proof that God answers prayers. Next Article Time for a change.